The inspiration derived from the warp and weft of real cotton or bamboo plain weaving. The imagination of the designer began with winding the leather pieces through the pillars to create an enlarged version of warp and weft weaving. 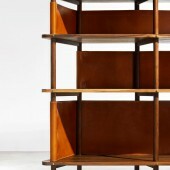 As the design ought to be usable, wooden slabs were then introduced to be joint with the leather and pillar weaving, forming all components into a curio shelf. The method of winding the leather pieces through the pillars basically lay a foundation for the warps and wefts structure. Also the leathers provide a soft-looking texture which makes it more like a real weave. Such feature is obvious when the viewer looks at it from its behind. The corners of wooden slabs is cut into bevels, making the body of the Weave flat and light. Its permeability allows it to save the connection of the separated parts when it is uesed as a space divider. The curio shelf can be loaded with certain amount of china, metal ware, model, painting brush or paper for decorative purpose. It can be put into a meeting room, kitchen or studio as the user wish to. Also it can serve a space divider function. To build the Weave nearly took one month. The frame part, consisting of the pillars and slabs, was produced in our own factory. The leather pieces were outsourced to a leather good manufacturer. Wooden materials were treated with a drying process, as it enabled the durability of the wooden frame to against the thermal expansion and contraction. The bottom of the slabs has wooden beam addons joint by mortise-tenon technique, which was also for the enhancement of the basic durability of the frame. The leather pieces are double sole, stitched together by using the needle method for making handmade leather wares, which makes the Weave distinctive from many leather furniture currently available in the market. Width is 1830mm, Depth is 300mm, Height is 1800mm. 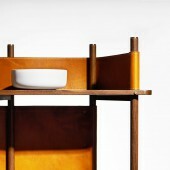 The furniture uses South American rosewood, cattle hide, copper as raw materials. The assembly includes using mortise-tenon joints and the needle method for making small leather wares. This is not a research orientated design project, rather than that, it is for comercial pursue yet with certain artistic concern. 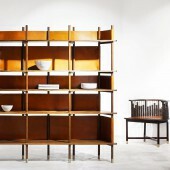 The designer had previously researched on the Northern Song Dynasty antique shelves and Italian leather furniture. These furniture provide some ground for the designer to build up further imagination and draft-drawing. Also the designer had thought of what materials could be used to represent a texture similar to real cotton weaving, they should be soft but substiantial. The thermal expansion and contraction may affect the life of the wooden frame and the leathers. This challenge is overcame with the drying process of woods and adding accessories to the leathers. Copyrights belong to Suyab Design, 2016. 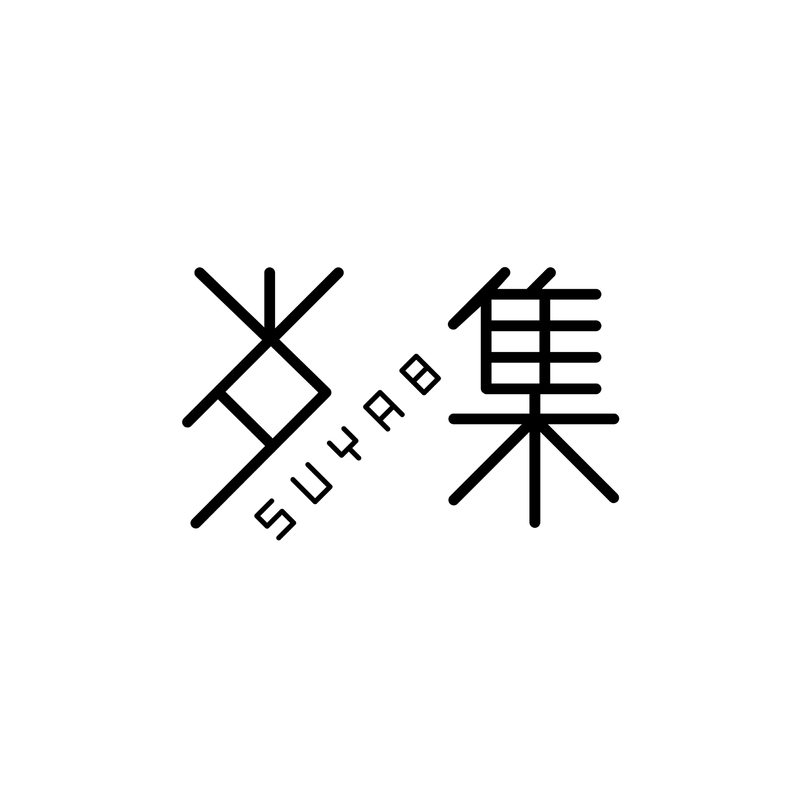 Suyab Design Co. Ltd. is a furniture design company currently based in Guangzhou, China. The company was previously an interior design studio started by Jo Zhu in 2003 and was transformed into a furniture design company in the autumn of 2014. Suyab focuses on designing original, natural and modern furniture that can convey essential and timeless beauty. Weave Curio Shelf Curio Shelf by Jo Zhu-Suyab Design is a Nominee in Furniture, Decorative Items and Homeware Design Category. · Click here to register today inorder to be able to view the profile and other works by Jo Zhu - Suyab Design when results are announced. Weave Curio Shelf Curio Shelf by Jo Zhu-Suyab Design is Winner in Furniture, Decorative Items and Homeware Design Category, 2016 - 2017. 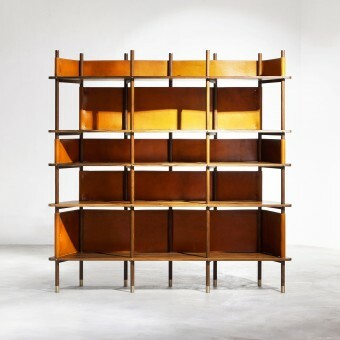 · Read the interview with designer Jo Zhu - Suyab Design for design Weave Curio Shelf here. · Press Members: Login or Register to request an exclusive interview with Jo Zhu - Suyab Design. · Click here to register inorder to view the profile and other works by Jo Zhu - Suyab Design. Did you like Jo Zhu-Suyab Design's Furniture Design? 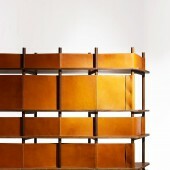 Did you like Weave Curio Shelf Curio Shelf? Help us create a global awareness for good furniture design worldwide. Show your support for Jo Zhu-Suyab Design, the creator of great furniture design by gifting them a nomination ticket so that we could promote more of their great furniture designs.